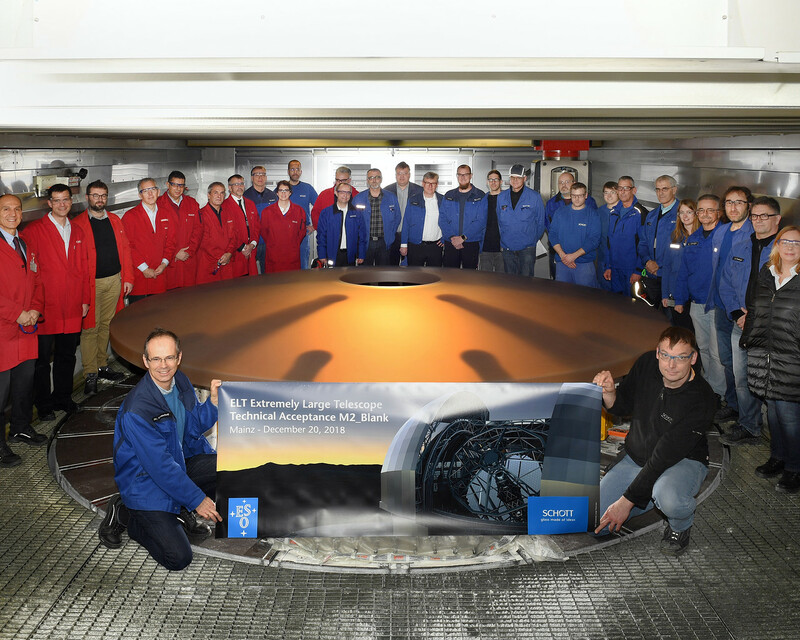 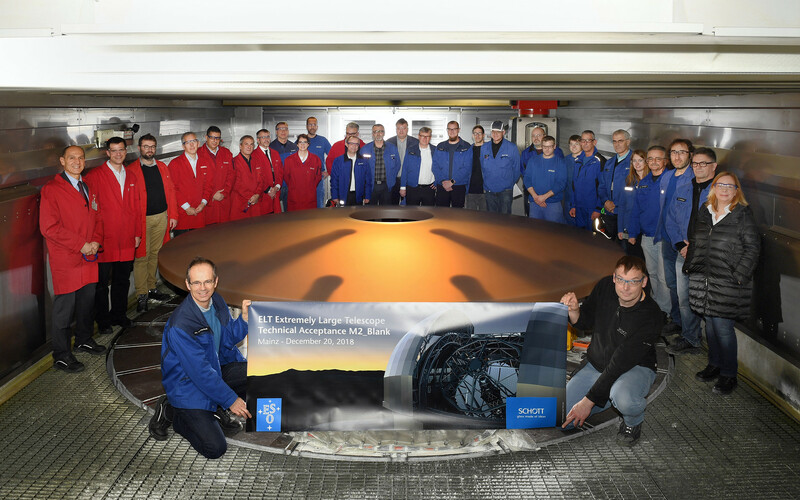 This image shows some of the people behind the scenes at the technical acceptance of the massive 3-ton blank for the ELT’s secondary mirror. 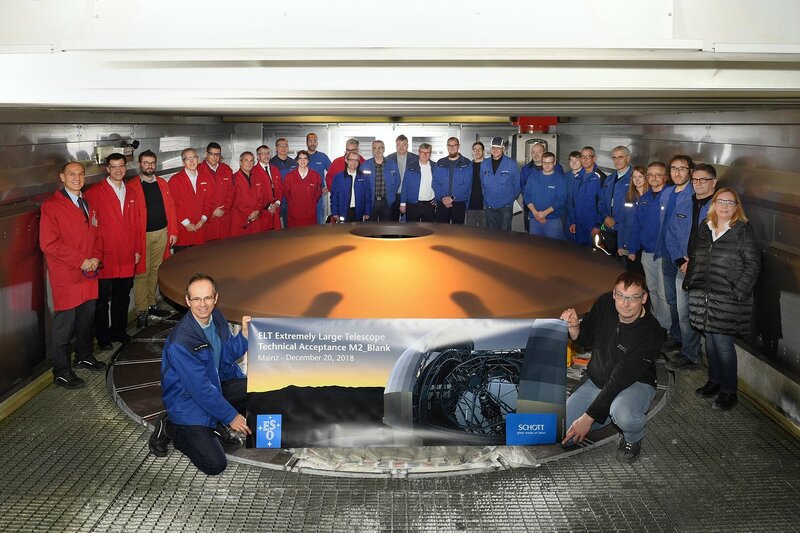 M2 will be the largest ever secondary mirror employed on a telescope, as well as the largest convex mirror ever produced. 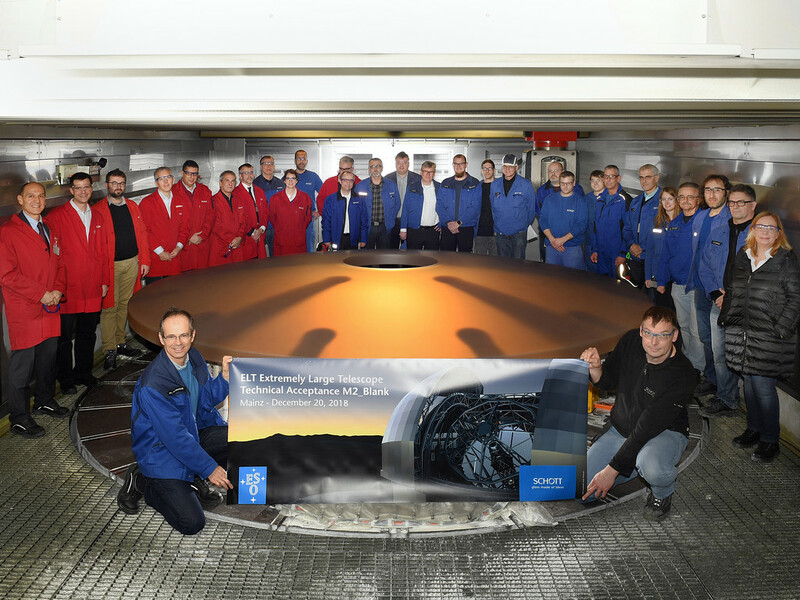 Fabricating this highly convex, aspherical mirror is a considerable challenge — and the result will be a truly remarkable example of pioneering optical engineering. The secondary mirror and its support system — weighing 12 tonnes — will hang upside-down high above the 39-metre primary mirror.